WHEN the Greenpeace activist Priya Pillai was offloaded from a flight bound for London earlier this year, it marked the culmination of the government’s pursuit of her. It had begun much earlier, in Singrauli in Madhya Pradesh, when plainclothesmen on motorcycles followed her and her colleagues and when their phones were tapped intermittently. The non-governmental organisation (NGO) worked among Adivasis in the region who did not want mines where their homes and sources of livelihood were situated. 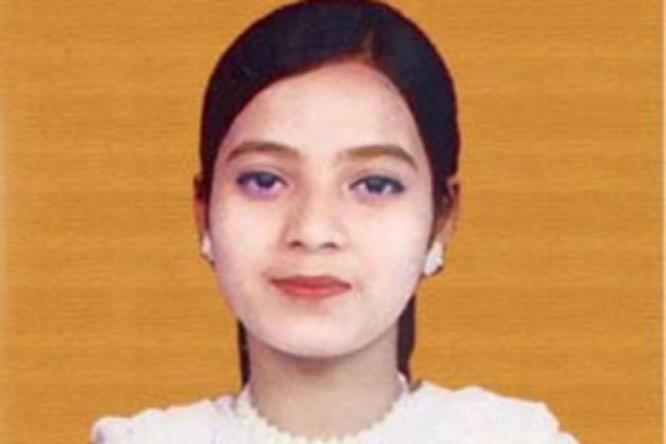 The pursuit became blatant at railway stations in Delhi when every time Priya took the train, she would get a call on her mobile from Singrauli. “Madam, when are you reaching here?” the caller asked. The regular interaction with the police and special cell personnel led to so much familiarity that some of them told Priya that there was a file being maintained on her. “We used to laugh it off because we did not realise that something big was coming. But now when I look back, I think we should have seen a pattern,” she told Frontline. The matter took a serious turn when letters were planted in her name instigating members of the Mahan Sangharsh Samiti, which was fighting against mining in the region, to use violence against officials. Greenpeace filed a police complaint about it, but no action was taken. Priya was also named in an Intelligence Bureau (I.B.) report, leaked to the press last year, along with a host of organisations such as Amnesty, ActionAid, Cordaid and Survival International. Most people and organisations named in the report have spoken about protecting the human rights of indigenous people affected by nuclear power plants, uranium mines, coal-fired power plants, genetically modified organisms, mega industrial projects, hydel projects and extractive industries in the north-eastern region of the country. Spying, intelligence gathering and planting stories against individuals that disagree with the state’s notion of development were prevalent when the United Progressive Alliance (UPA) was in government. G.N. Saibaba’s is a case in point. The Delhi University professor, who is 90 per cent disabled, was booked under the Unlawful Activities Prevention Act for conspiracy or attempt to commit a terrorist act and support for a terrorist organisation and imprisoned in Nagpur Central jail’s infamous anda cell a year ago. Civil society organisations feel that the aggressiveness displayed by the current government in targeting people who challenge the state’s development model is far more chilling. They say under Congress president Sonia Gandhi, there was some semblance of a pro-poor agenda through the National Advisory Council, but the Bharatiya Janata Party-led National Democratic Alliance, having won a massive mandate and centralised all decision-making, has no need to hum and haw like the Congress in keeping its pro-corporate ties a secret. In an address to top judges in the country, Prime Minister Narendra Modi was at his caustic best while referring to civil society volunteers as “five-star activists”. Activists feel that the majoritarian government led by Modi at the Centre aims to stifle any voice from civil society and render it irrelevant in the long run. Some 16 foreign donors have been put on the list of foreign funding agencies that require prior approval from the Ministry of Home Affairs for each transaction. Though Minister of State for Home Kiren Rijiju called this correspondent for an interview to his office in North Block, he wanted a written questionnaire via mail. The questionnaire went unanswered. Some of the organisations on the list are reportedly the Bertha Foundation of the Netherlands, the Climate Works Foundation, the Mercy Corps (which operated in Kashmir), the Bank Information Centre, the Sierra Club Foundation, Avaaz.org, ICCO Strategische Samenwerking, HIVOS, the Catholic Organisation for Relief and Development Aid, the Inter-Church Peace Council, the Danish Institute of Human Rights, the Danish International Development Agency, and 350.Org. Reportedly, 69 NGOs have been blacklisted by the Centre and the registration of hundreds of NGOs has been cancelled. NGOs perceive this as an attempt to muzzle opposition to any pro-corporate activity undertaken by the government. Members of the Aam Aadmi Party (AAP), which rose to power in Delhi State on the back of social activism, released a statement saying that they hoped the Prime Minister would desist from openly siding with businesses and interest groups and maintain the dignity of the high office he held. “We also believe that, as in the past, the judiciary will always stand by the Constitution and law while discharging their duties and will not heed to the loaded suggestions from any quarter. It may be noted that most of the anti-corruption breakthroughs in the 10-year rule of the Manmohan Singh-led UPA government have been made possible due to vigilance and activism of civil right activists. Now, in spite of the efforts of the BJP-led government to shut their voice, the efforts of the civil society shall continue unabated and with much more vigour,” the statement said. Anil Chaudhary of INSAF, one of the organisations named in the I.B. report, says: “Intelligence gathering is a part of statecraft. Local I.B. officers often come to our office and I give them a seat, chat with them. They then file their reports to a district-level officer daily or on a weekly basis.” No covert action has been taken against the organisation after the court quashed the freezing of its account by the government, but Chaudhary is prepared for the worst. The process for the renewal of its Foreign Contribution Regulation Act (FCRA) registration is coming up, and he feels that the government can avoid special action in the case by simply denying it. INSAF does not directly work at the grass roots but has 700 affiliates which do. The membership-driven organisation is a forum to express concerns about globalisation, communalism and threats to democracy, and it also conducts campaigns against genetically modified crops, the World Bank and the Asian Development Bank. Chaudhary finds no major difference in the underlying policies of the UPA and the NDA but points to a stark difference in the style of functioning. Of the 16 donors on the government’s watch list, the Ford Foundation has been the most talked about. It is believed that its name cropped up as it funded the Sabrang Trust, the organisation headed by Teesta Setalvad, who is currently under scrutiny by the Gujarat government for alleged embezzlement of the trust’s funds. Many believe that Teesta is being hounded for her proactive role post-Gujarat 2002 riots as the secretary of the Citizens for Justice and Peace (CJP), which is a co-petitioner in seeking a criminal trial of Modi for his complicity in the riots. Her activism resulted in the conviction of Maya Kodnani, a former Minister in the Modi government in Gujarat, and Babu Bajrangi, a leader of the Bajrang Dal, a Sangh Parivar outfit. “The trustees and office-bearers of the Sabrang Trust and the CJP do not see themselves as above the law. They believe in the law of the land and expect others to do so as well. We believe that neither the Sabrang Trust nor the CJP has violated the provisions of the FCRA or, for that matter, any law of the land,” is Sabrang’s response. Close to 200 civil society organisations have written a letter to the Prime Minister and the Home Minister on the larger issue of a crackdown tantamount to sacrificing people’s interests over corporate interests. It states that the I.B. report is a calculated character assassination attempt on a large number of credible activists, including Admiral Ramdas, Justice P.K. Mishra, Medha Patkar, S.P. Udayakumar, Achin Vanaik, Praful Bidwai, Prashant Paikray, K.P. Sasi, Surendra Gadekhar, Babloo Loitongbam, Lalita Ramdas, the late Banwarilal Sharma, the late Fr Tom Kochery, Aarti Chokshi, M.G. Devasahayam, Aruna Rodrigues, Kavita Kuruganti and others. “We understand that Narendra Modi is planning to execute a major corporate agenda of destroying India’s land, water and forests and since thousands of crores of rupees have been used from the corporate sector for his election campaign, there is an urgency to sell off India to the corporate interests. Therefore, this slander campaign is only to clear the ground to benefit the Indian and foreign multinational interests,” it states. Wada no todo Abhiyan (“don’t break the promise campaign”) is a campaign of organisations that work towards strengthening democracy. “We are all credible, reliable and compliant organisations and not fly-by-night operators controlled by some foreign hand as is being made out. Whatever funds that come from outside are with the full knowledge of the government, and not illegally. We subsist from grant to grant, and to get the work done, we apply everywhere, to the government also. This is made legal by the government itself, so where is the foreign hand? Or is it wrong to talk about communal harmony and Dalit rights?” asks Paul Divakar, convener of the Abhiyan. All such grants are approved by the Department of Economic Affairs under the Finance Ministry and have to be FCRA compliant. According to activists, the conclusion that can be drawn by the government’s action of moving the approval of some foreign funding agencies from the Finance Ministry to the Home Ministry is that the government does not trust the former to do it properly. As much as 70 per cent of Greenpeace India’s funds are from domestic sources, which include 77,000 donors who transfer Rs.300 to Rs.700 a month through ECS debit and the rest from its parent organisation under the FCRA. Both are maintained as separate accounts, said Divya Raghunandan. Along with its foreign account, seven of the organisation’s domestic accounts have been frozen, an action that the NGO has challenged in a writ petition. This may affect the operations of the NGO beyond May, when it exhausts all of its existing funds and may no longer be able to pay salaries to its 350 employees or pay rent. “The government is welcome to review our books and we have been very cooperative throughout, but this seems like an intent to shut us down rather than about technicalities,” said Divya Raghunandan. However, every time the NGO has been targeted, its donations have only gone up, and it may still survive the episode. Its employees have written that they are willing to go without pay for a while if necessary. As the urban landscape changes, distrust and intolerance between religious communities are on the rise. Omar Rashid reflects on how the arduous task of house hunting in cosmopolitan India becomes even more complicated if you don’t belong to the right religion. Two summers ago, I found myself facing the prospect of living in a densely populated Muslim locality, a ghetto, in Uttar Pradesh’s old city of Allahabad. It was much against my will, as for about a year since moving to the land of the Sangam, I had resolutely resisted the possibility on multiple occasions. I am strictly opposed to the idea of religion-specific community living, especially when it’s forced upon you. But now served a sudden ultimatum by the landlord of my present flat — a stone’s throw away from Anand Bhavan, the historic home of the Nehrus — I was house-hunting again. My present flat had come to me after a hard struggle, following dozens of rejections, much frustration and disgrace — to my claim, I was the sole non-Hindu in the building. A similar, unpleasant pattern ensued. Then one fine day, I received some hope. Surprisingly, it came from a Hindu Brahmin family. They were known to me through a reliable business friend, a distant relative of theirs. Without wasting time, we marched to the house. It was anything but up to mark; the ventilation was poor, for one. But I was desperate. We discussed the rent and other conditions. I accepted everything. There were, unexpectedly, no questions about my food preferences or religion. I left satisfied and expressed gratitude to my friend. Three days later, carrying a new lock, I returned to seal the deal. And the landlord, a polite old man, mistakenly referred to me as “Amar ji.” I promptly corrected him. His face turned pale and he looked hopelessly at his wife. “Acha? … toh aap Musalman ho?” His voice grew distant. “Hum Musalmano ko nahi rakhte.” Since my friend was a Hindu, my potential landlord had perhaps assumed that he would only bring a Hindu tenant and never cared to ask. I was under the impression he knew of my identity but didn’t care. We were both wrong. Back then, the old man’s words of rejection caused me much rage. Looking back, today I thank him for being as blatant as he was. In a perverse sense, we must pray for such brazen cases of intolerance to surface from time to time to remind us how deeply ingrained this malaise is. This was not the first time — and I am sure it won’t be the last — that I was dismissed for bearing a Muslim name. Not all instances were as dramatic or direct as the above. Usually, they are nasty and frustrating yet subtle and sophisticated. The codes of discrimination and prejudice in India are unwritten and veil themselves in ambiguity. It is often difficult for the victims to establish their case as it unfolds — sometimes it doesn’t at all — in a complex and obscure manner. Most often the rejections and untimely evictions are shrouded with loose excuses; shameless telling of ‘out-of-bound’ (so-called secular) areas; blatant lies about occupancy (the most common ones are repair work, sudden marriage schedules or unexpected arrival of relatives); gastronomic preferences, often duplicitous. A Chaurasia landlord threw me out within a couple of months as he didn’t like me eating “meat machhi” in the house, though I often found his son eating chicken tandoori and drinking liquor on the terrace with his friends over a game of cards! More generally, when a Hindu landlord rejects a Muslim for being non-vegetarian, does it mean the Muslim would have been treated better had he or she been a vegetarian? Unlikely. Each time news breaks of a Muslim being denied a house in India, I am automatically tuned to reflect on my experiences. When it comes to housing matters, I tick all the wrong boxes possible: I am a non-vegetarian; bear a Muslim name and Kashmiri identity (a potential security threat); carry the stereotypes of a bachelor and a journalist; a tribe, along with advocates, not trusted by landlords for whatever reasons. Due to this delicious mix, I can testify to some of the most outrageous experiences. Leave aside Hindus in Lucknow, the city of the Nawabs, Muslims refused to give me a flat. “We can’t give our house to a Kashmiri.” Their rejection was born out a fear that the police would hound them in case I was found complicit in a terror attack. A Muslim landlord, who accepted me after much reluctance, scrutinised my every habit and kept a keen tab on my activity. So, while I’m persona non grata for Hindus for bearing a Muslim name, some Muslims don’t give me a house for not acting like one. On the whole, I was rejected by well-educated, well-earning, respected and refined people, not the naked savages we would have liked. In an ever-urbanising India, house-hunting is an arduous task in itself regardless of identity. Non-vegetarian Hindus, bachelors, Dalits, homosexuals, people from the Northeast and women, to name a few clusters, are also subjected to comparable biases. Yet, as numerous reports and accounts have highlighted, it becomes next to impossible for Muslims to find a house of his/her liking. Various reasons are cited to explain this ‘No-Muslims’ climate. Over the years, communal politics, communal profiling, media propaganda, stereotyping and de-humanising schemes have played a huge role in widening the rift between communities. In the present scene, many attribute it to a consequence of global Islamophobia post-9/11 and the perceived threats of terrorism. In Mumbai, India’s cosmopolitan city, the ghettoised landscape is attributed to the 1993 riots and the subsequent terror attacks. The venomous fangs of this segregation are taking new turns not only in India’s most urban spaces but also in its rural areas. In western Uttar Pradesh, rural ghettos have come up widely post the 2013 Muzaffarnagar communal violence. Last year, much furore was created after news broke of a “Muslim-only” colony coming up in Greater Noida. Detractors said it would lead to further ghettoisation and, ironically I feel, questioned how it even fit into India’s constitutional ethos. Many also used the case to explain, and justify, the reverse ghettoisation perpetrated upon Muslims. However, what they fail to acknowledge is that while ghettoisation is indeed harming the minority’s growth and further fuelling distrust, this particular case should be looked upon as a practical reaction to the bias they faced in proper New Delhi. If not, where is the outrage over the forced ghettoisation of Muslims across Indian cities and towns? For instance in Gujarat, recently a Muslim scrap dealer was forced to sell off his new bungalow in a Hindu-dominated locality in Bhavnagar simply because the Vishwa Hindu Parishad wouldn’t let him move in. So how do we deal with situations of housing bias and discrimination on grounds of religion in general? There’s very little that comes to mind. Urban planners and legal experts have been perplexed by it. Many say the solution lies in promulgating a Free Housing Law. Yes, a need for such a statute against discrimination is the minimum requirement. Yet, laws in themselves are insufficient. In absence of a quick redressal system, the victims will be exposed to an expensive litigation process. The logic of ‘prevention is better than cure’ would apply better in this scenario. Other solutions include adapting housing policies and anti-discrimination laws of other countries. The Singapore model of inclusive housing, which mandates housing complexes with a fixed percentage of different communities, is often cited. However, our cultural sensibilities are yet to reach those levels of maturity. And, given our demographic imbalance where one community has more than 80 per cent of population, it sounds a little impractical. The first task facing us, however, is to conceptualise the issue with clear data. A solution that does not take into consideration a systematic study of the biases, which surface in a myriad ways, would be tenuous. Despite facing the bias on numerous occasions, directly and indirectly, I have little data to report my case, especially when it was done slyly. In the absence of a clear statutory law prohibiting discrimination, the housing societies in the country are legally entitled to decide who can or cannot live in them. In 2008, Pune resident Madhavi Kapur was prevented from selling her flat to a Muslim couple as the society would not allow minority members. Surprisingly, this was preceded by a Supreme Court decision in 2005 in the Zoroastrian Co-operative Housing Society case, where it allowed the housing society to rent and sell accommodation only to members of a particular religious community. The legal implications of this case on other societies are contested. Perhaps the government could incorporate a non-discriminatory, inclusive housing programme in its much-touted Smart Cities scheme, or incentivise building schemes. Yet, not much can be achieved without political will. Take for example, Mumbai, where the issue of ‘only vegetarian’ housing zones have acquired political significance. Last November, the Brihanmumbai Municipal Corporation (BMC) passed a resolution seeking to deny key clearances to builders and housing societies that discriminate against buyers on the basis of caste, religion or food habits. There has been little action on the proposal as it still awaits the approval of the Urban Development Ministry. The BJP, in power in Maharashtra, interestingly, did not vote for the proposal in what appears to be appeasement of Gujarati voters, who are traditionally vegetarian. It’s been a year since I moved to Maximum City. Walking through the all-vegetarian zones in South Mumbai, and the adjoining Muslim ghettos, reminds me of its segregated spaces. Fortunately, thanks to a colleague, I was saved the trauma of house hunting. The house-hunting regimes are torturous for any young professional. For a Muslim Kashmiri, like me, it is often a case of re-education; one that threatens to alienate the citizen in me. Communal harmony/tension in India is gauged by the frequency of riots. No violence implies all is well. However, long-term consequences of communal discrimination, alienation and ghettoisation programmes to India’s harmony cannot be overstated. Can there be smart cities with regressive mindsets? Staying true to the adage of charity begins at home, the BJP government fulfilled the promise of ‘ache din’ for its ministers and MPs first. While the bill for an entire decade from 2004 to 2014 for MPs and ministers’ stay in five-star hotels totals Rs 19.77 crore, the BJP government has run up a bill of Rs 25 crore in a year. That’s a tad difficult to explain for a government that clamped down on ‘conferences in five-star hotels’ and curtailed first-class travel of bureaucrats. But BJP MP and house committee chairman Arjun Meghwal tries to demystify this conundrum. 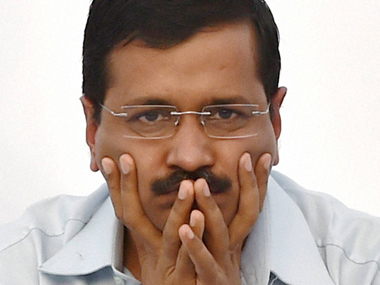 “The present Lok Sabha has 330 first-time MPs who did not have accommodation in Delhi. This is the first time in many years that the Lok Sabha is filled with so many debutants, so it is obvious the bill would be higher,” said Meghwal. MPs have to be provided official accommodation from the day they are sworn in. If a house is not available, they are put up in state guest houses or government-owned hotels, including Ashoka, Samrat and Janpath in the Capital. Though the rack rent at Ashoka hotel is Rs 10,000, the rooms are provided for MPs at a subsidised rate of Rs 7,000. As per Ashoka Hotel officials, rates have not risen dramatically over the years. But not all 330 first-timers stayed in five-star hotels. According to sources in the Urban Development Ministry, only 141 MPs were accommodated in Ashoka Hotel. “The bill is so huge because many of them stayed on for nearly a year in the hotel accommodation as they waited for their houses in Delhi,” said a senior UD ministry official. Till May this year, 32 MPs were still staying in Ashoka Hotel and vacated only after UD minister Venkiah Naidu threatened them with a notice that they would have to foot the bill themselves. The Congress says they went by the norm that only ministers and senior leaders could stay in five-stars. “First timers were asked to stay in State Bhavans. The present government has been indiscriminate about allowing everyone to stay and as long as they wish,” former Congress MP J P Agarwal said. Agarwal headed the Lok Sabha House Committee from 2009 to 2014. Another factor was that rooms remain blocked even for the long gaps when Parliament was not in session and the MPs were in their constituency. “Even when the Parliament is not in session, MPs get a huge amount of mail. We can’t send it all the way to their constituency. Plus an MP needs basic office facilities like a fax machine and so on,” Meghwal explained. “The delay has been partly because the previous occupants took time to vacate. 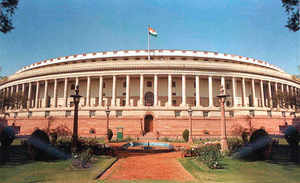 But it is also because many MPs could not make up their mind and were picky about the houses,” added a senior official. Mumbai | 7th June 2015: As the pre-monsoon showers hit the parts of Mumbai and brought some respite from the heat, those struggling at Mandala for their housing right bravely stood up to the rains by holding with hands a loosely built pandal covered with crevice tarpaulin allowing water to fall in. The heavy the rain was falling louder the Satyagrahis happily started singing Shankaon Ke Sagar Hum Laang Jayenge, Mandala Yahin Basayenge (we will cross the sea of doubts, we will inhabit our Mandala here). Meanwhile Satyagrahis managed to get an appointment with the Housing Minister Shri. Prakash Mehta, who they will be meeting in the afternoon tomorrow. Main demands would be to give them right to shelter, they should be allowed to stay at Mandala as the proposed beneficiaries with all the basic amenities and no demolition without the surveys of the houses as per new cut-off date. The relay fast is still on and was carried forward by another 11 Mandala evictees. To strengthen the struggle, slum dwellers from other bastis also pouring in, considering the fight as a mutual one. The existing slums in Mumbai are striding for basic amenities. These slums lack schools, hospitals, toilets, electricity. Drawing inspiration from Nobel laureate Malala Yousafzai for pursuing the cause of education for all, a 12-year-old Muslim girl Maryam Siddiqui who was on Saturday given Rs 11 lakh by UP chief minister Akhilesh Yadav for winning the Gita Champions League has returned the award.She wants the state gov ernment to use the money for the “betterment of children in need“. Maryam had won the Gita Champions League contest organised by International Society for Krishna Consciousness (Iskcon) in January in which over 3,000 students had participated. Akhilesh felicitated her on Saturday at an official function in Lucknow, where he gave her the cash award and a plaque. In a grand gesture unusual for a 12-year-old, Maryam also contributed two cheques of Rs 11,000 each to the Chief Minister’s Relief Fund and said she would like to see the funds being used for educating orphaned and needy children in the state. Calling herself an ambassador of peace, Maryam told TOI she is now on a mission to promote the cause of education for the poor.“Education is the only route to change their destiny ,“ she said. “I’m grateful to the UP government for conferring this honour on me. I, however, have the means to lead a reasonable life because the Almighty has been kind to my parents. But there are many children who are not as lucky as me. So, I have decided to return the cash award to the state government so that it can be used for the betterment of children in need,“ she said. Maryam’s father Asif Siddiqui confirmed that they had submitted an official letter to the Uttar Pradesh government requesting them to use her cash award for educating children, instead.